It’s been a little while since our last WPW; following up our comeback with the Wallpaper of the Week series, it’s crazy to imagine there’s more than 350+ wallpapers available to download for your different screen resolutions. Things have changed ever since so we decided to change the formula, each week we’ll try our best to publish one of our own pictures as a challenge. Let us know of your thoughts or suggestions so we can adjust for future endeavours. For this week’s wallpaper, we are sharing this image by François Hoang. We were in Amsterdam to cover the launch of the new LYNK & CO 02. Being on this side of the World, I took the liberty to travel in Rotterdam which is about an hour away from Amsterdam, beautiful city! 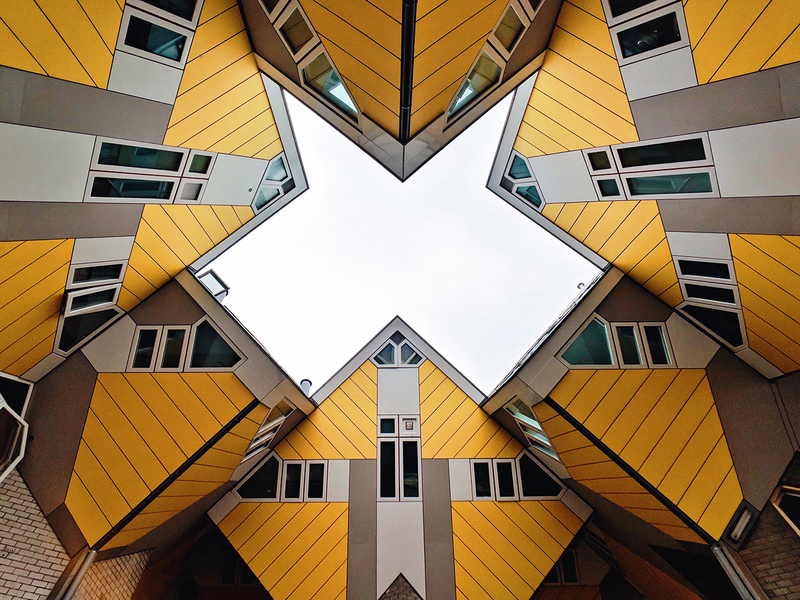 I took a stroll to the cubes houses designed by Dutch architect Piet Blom, such a unique design of each house being tilted at a 55-degree angle and into a hexagonally-shaped base. A must see when you are in Rotterdam!